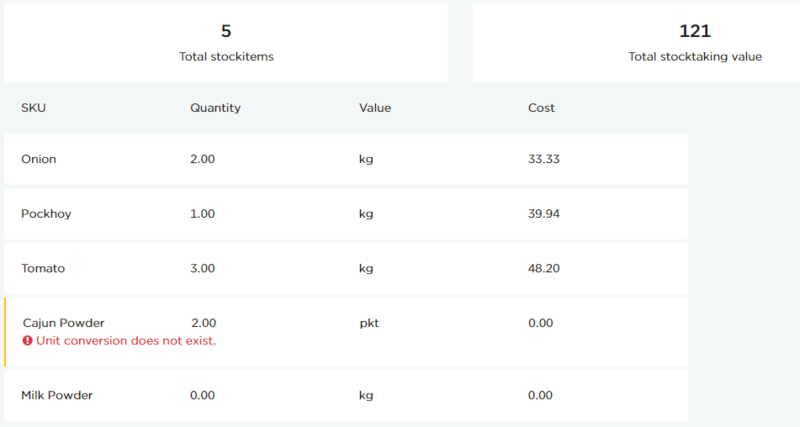 NOTE: The unit conversion warning for items with positive stock values indicates wrong units, which needs to be corrected. As shown in above example, the unit entry for "Cajun Powder" is wrong. Since "Cajun Powder" is purchased in "kg" , a error message is displayed. Make sure you enter the correct units for all items during physical stock taking. As shown below, the stock taking with these kind of entries will be indicated with a orange border. Stock taking can be cloned using Clone Icon. 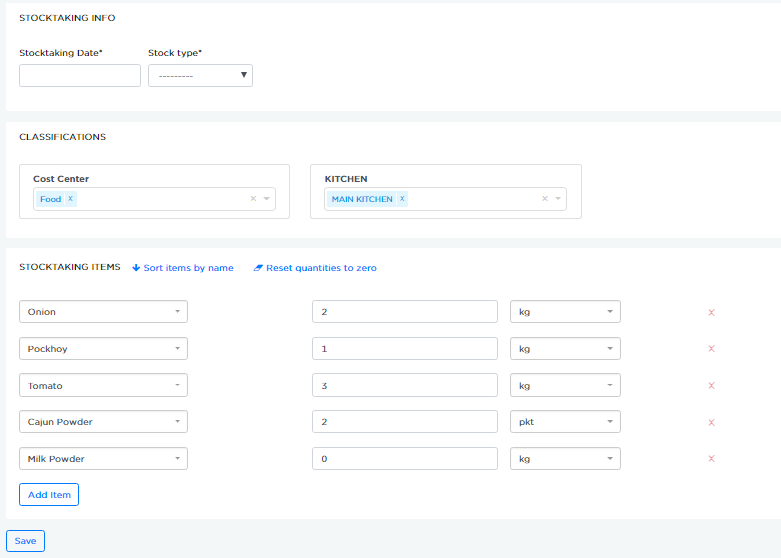 This is useful for duplication of a stock taking and making minor edits to the cloned copy. Edit the entries and click Save to save it as a new stock taking entry. 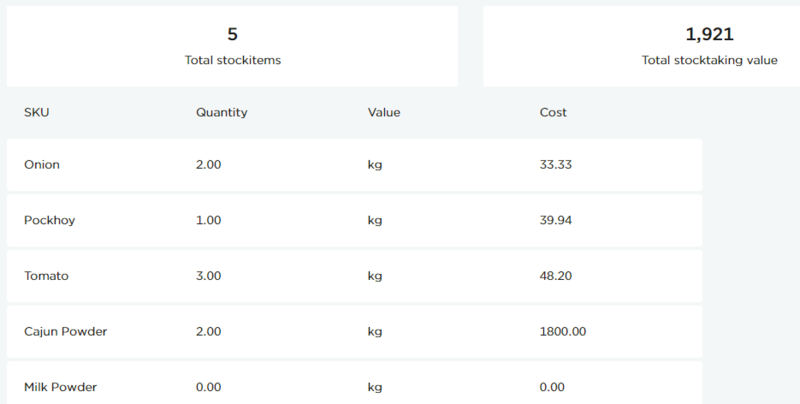 Stock takings can be deleted using Delete Icon.